Rohnert Park, California – The Wine Business Institute (WBI) at Sonoma State University (SSU) has announced the first group of 15 students to receive individual $10,000 scholarships as part of the Wine Industry Scholars Program (WISP), a collaboration between the School of Business and Economics and SSU’s Educational Opportunity Program (EOP), dedicated to supporting the access, retention, and graduation of first-generation students from economically and socially disadvantaged backgrounds. The new scholarship program is designed to provide first generation children from families of vineyard and winery workers access and support services through higher education. The group of scholars was recognized during a luncheon ceremony on November 13, 2017, including guests from the Wine Business Institute Board of Directors and EOP Academic Advisors, where students and donors were able to meet and connect. with other members of the group of 15 WISP scholarship recipients. 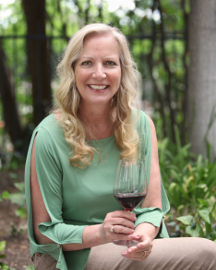 “Being a Wine Industry Scholar means that I can keep furthering my education. I will be able to achieve my goal of getting my Master in Student Affairs without having to worry about finances as much. 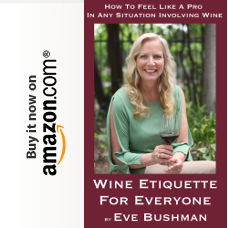 Through the Wine Industry Scholars program, I have met people who continually encourage me to keep going and achieve my best. 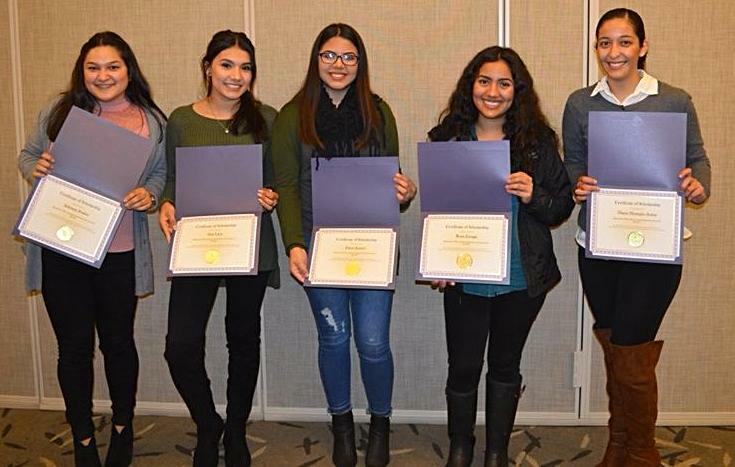 Without this program and the support from it, I would not be able to keep going,” Adriana Avalos, criminal justice major and WISP scholarship recipient. 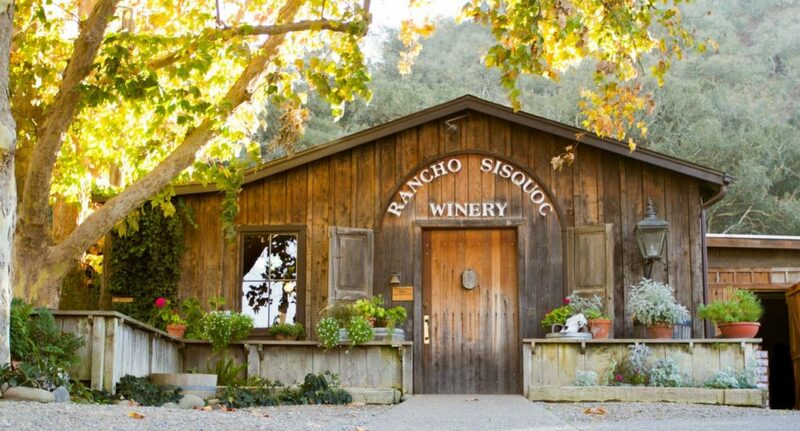 “I’m humbled and grateful to have gotten the Wine Industry scholarship. I’ve always struggled the most during winter break in regards to money and paying my bills. It was a relief knowing that I was able to get rent covered for these few months and it would be okay for me to take a two week break from work for the holidays. Bottom line is thank you for being so generous, I sincerely appreciate it,” Rosa Zuniga, psychology major and WISP scholarship recipient. Wine Industry Scholar Program contributors include the Kalmanovitz Foundation; Rodney Strong Vineyards; Cooperages 1912; Gary Heck of Korbel; Walt and Sylvia Klenz of VinCraft; Mel and Craig McKibben; Carol O’Hara of BPM; Ron Rubin of The Rubin Family of Wines; Barbara Talbott and John Riley; Gould Evans; Douglas Thornley and Susan Lundquist; and Chris and Kathy Burt. 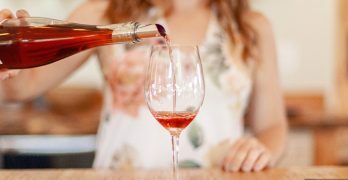 Wine Business Institute scholarships still available in 2018 include Charlie Palmer’s Pigs and Pinot Annual Scholarship in the amount of $10,000; Donn P. Reisen Scholarship for MBA Students in Wine Business in the amount of $5,000; Liz Thach Wine Industry Scholarship in the amount of $1,500; La Tosh Wine Scholarship in the amount of $2,000; two Southern Wine & Spirits of America Wine Business Scholarships in the amount of $10,000; Sonoma-Cutrer Vineyards Wine Business Scholarship in the amount of $2,500; and Vintage Wine Estates Wine MBA Scholarship in the amount of $5,000. The deadline for all applications is February 23. The application may be accessed here: https://www.tfaforms.com/4642609. For more information regarding the Wine Industry Scholars Program, or for information regarding WBI programs and degrees in the School of Business and Economics, please contact (707) 664-3235, winebiz@sonoma.edu, or visit www.sonoma.edu/winebiz. To learn more about the EOP department and programming, visit www.sonoma.edu/eop. 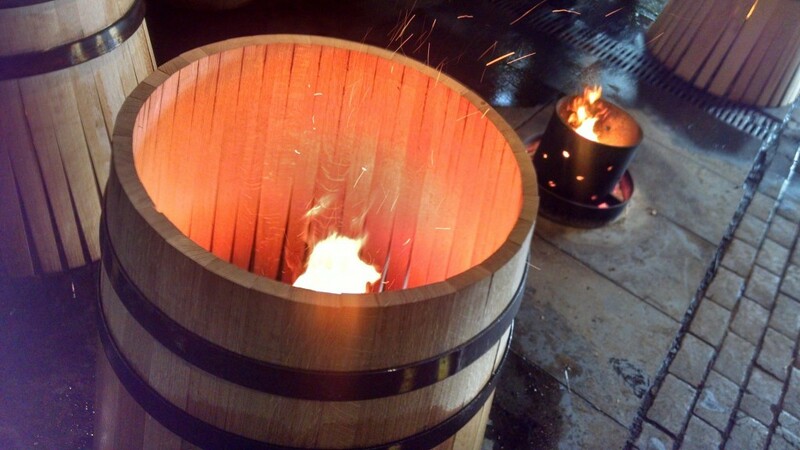 Wine 101: What is a Cooperage? I’ve often been asked in my pursuit of (wine) knowledge if I’d ever visited a cooperage. 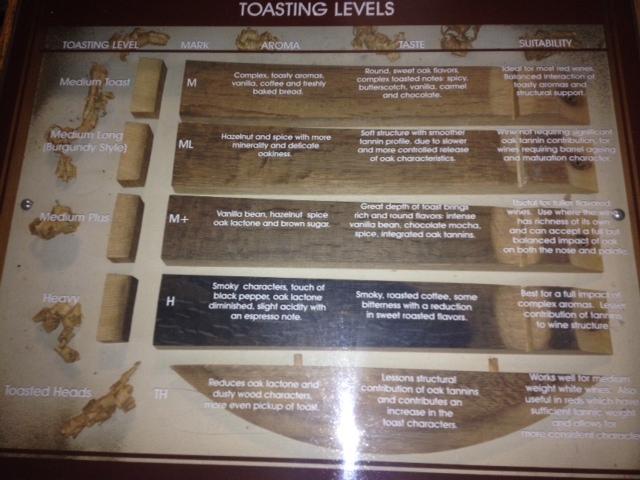 I have to admit that the first time I was asked I was like any true wine 101er – and asked what the heck a cooperage is. A cooperage, manned by several coopers, is a barrel making facility. Just like a boat, wood worked into barrels goes through quite a bit before it can be water, or wine proof. During our tour we watched as oak staves were toasted, allowing water in the oak to steam out, while a cooper sprays a small amount of water on each. This procedure makes it easier to bend the oak without risk of cracking. Metal rings known as “toasting hoops” are slipped over the sides, and tops were hammered, before the next step occurs. 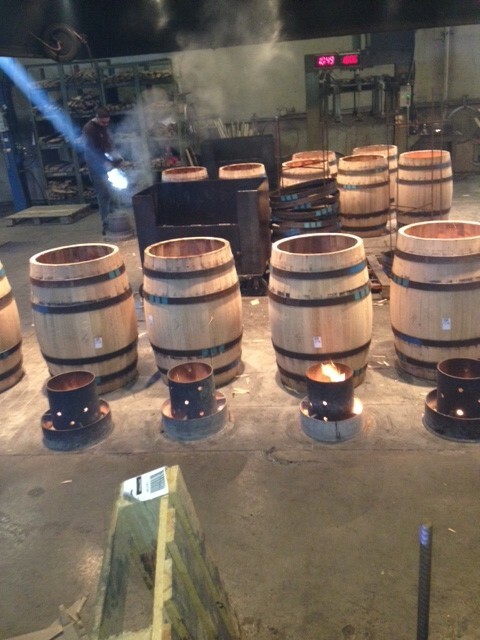 All by pre-planned design for each workday at the cooperage, each barrel has been made to order. Watching the coopers at various points in the construction I learned that it would take a minimum of two hours for a single barrel to be completely formed, toasted, cooled and then checked with pressurized water for leakage. The toasting hoop is then removed and replaced with galvanized steel hoops. A “master cooper” was off to the side to do any necessary repair work with extra oak pieces, a hammer and more to make sure each and every barrel is good to go. The final part, after selecting the toast amount for the barrel’s top and sealing the barrel, a laser is used to mark the barrel. These always looked like they were done with branding irons to me, but no longer, the laser will mark where the oak originated and how much toast; M toast and M+ toast are most common – light toast is less common. Seguin Moreau Napa Cooperage blends its French heritage with American resources, supporting wineries’ oak programs worldwide. 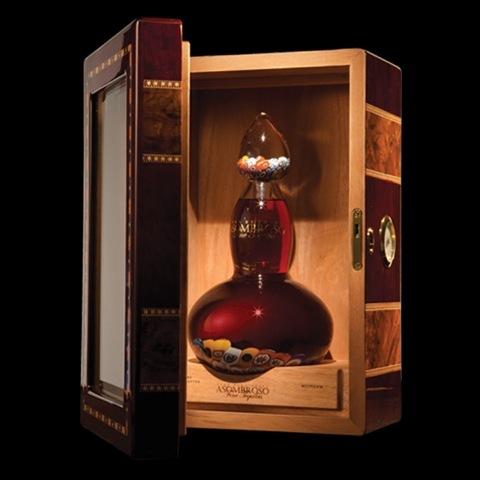 SEGUIN MOREAU continues to enrich and modernize almost two centuries of tradition, the foundation of an internationally recognized savoir faire. The Seguin and Moreau cooperages were created in 1870 and 1838 respectively. The famous cognac house, Remy Martin, took a majority holding in the Seguin cooperage in 1958. It later went on to become its sole shareholder. at the same time buying the Moreau cooperage. 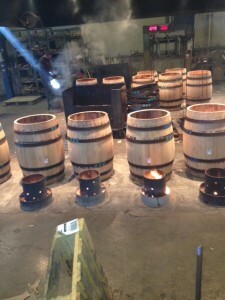 SEGUIN MOREAU cooperage was born. Seguin Moreau has three workshops: France, Australia and the one we toured in Napa. They create over 80,000 barrels a year in various sizes. Just like aging wine, the staves are aged 24 to 36 months before use. The tight-grained oak is porous, allowing for minute amounts of evaporation and oxygenation. This exchange between the outside air, the barrel and the wine provide for rounding of tannins and developing of aromatics. They have over 240 staff members. Every barrel is hand-toasted and hand-finished. They serve over 5,000 clients, however, they are not open to visitors.